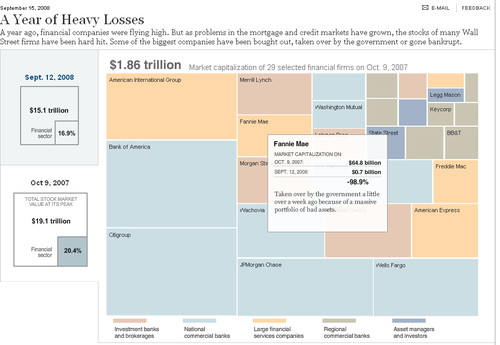 Terrific interactive graphic from the NYT showing the financial destruction caused by the wall street meltdown. "29 firms have lost about a Trillion dollars. (thats trillion with a T)"
. . . and only one has gone under.